Featuring a smooth, wide rim and hooded brackets arching upwards at the centre, Saturno’s shape and style is reminiscent of planetary composition - or an old-fashioned spaceship or UFO, hovering weightlessly (except for its vintage cord of course) in the atmosphere Available in three sizes and a stunning selection of colour tones all uniquely distressed to add that air of vintage authenticity. All Ferroluce Retro items are artisan-crafted products made in Italy to order. The intricate distressing is applied by hand with no two products being identically alike. Please allow up to 4 weeks for delivery. 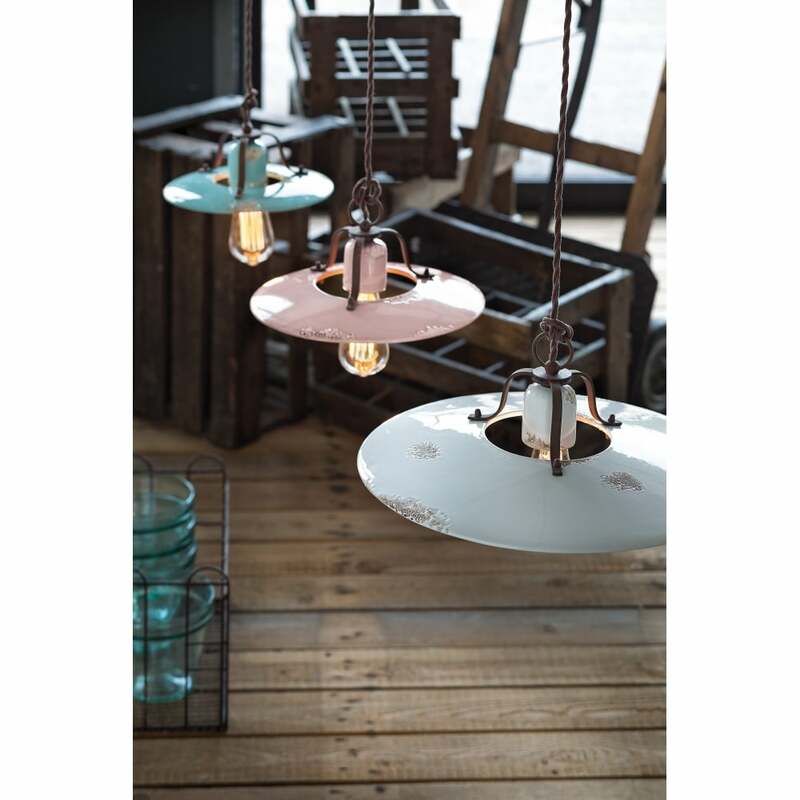 View All Ferroluce Retro lighting for more information on Saturno or view the complete Saturno Collection.